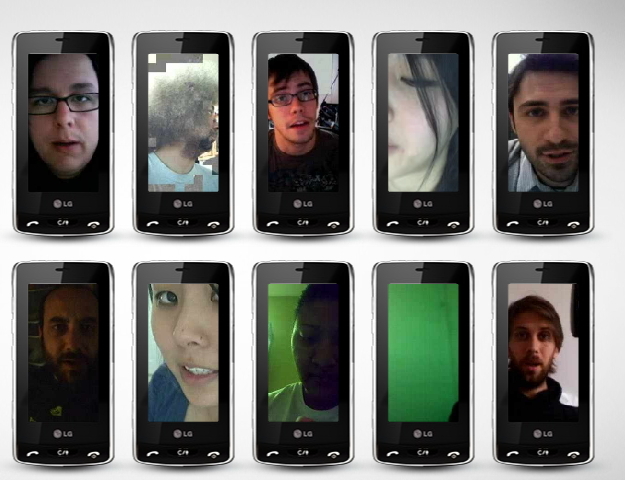 To promote its Versa handheld, LG's offering users a trip to Vegas if they upload a 12-second vid of their cell phone vice on LGVersaVice.com. Confessions range from the mundane ("manima" checks Twitter and Facebook from the toilet ... but who doesn't?) to the insane (when "bateatsbat" wants to cut ties with crappy dates, she tells the dudes she has AIDS). Then there's the guys who just wanna be on here wasting time. "gsmaverick" confesses he doesn't even have a cell phone, but he recounts his vice anyway: tweeting, every day, all the time. If everybody with that vice came on Versa Vice to unload their load, LG's marketing team would be sifting through the video debris for years.